VIVA LA DERBY! : VIVA LA DERBY! 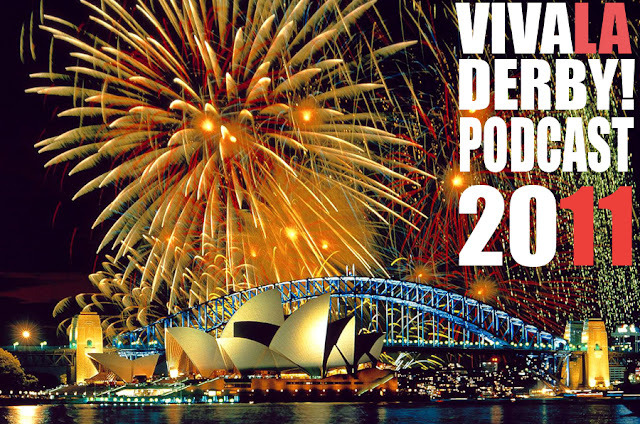 Podcast - Episode #11 Happy New Year with Mic Riot. VIVA LA DERBY! Podcast - Episode #11 Happy New Year with Mic Riot. 2011 is done and dusted and the VIVALADERBY! crew are joined by The Riot Act's Mic Riot to get in their Delorean, get dat sumbitch up to 88mph and go back through all the events of what was a massive year of roller derby. We send a huge thank you to EVERYONE who's played a part in the podcast over the year and we make a very special announcement about upcoming stuff for the new year. We jope you had a rad holiday season and we look forward to more podcasty shenanigans for 2K12.